Being that it is almost Halloween, I thought a few ghost stories would be appropriate. Before the ghost stories, I would like to take you back to July of 2015. While sitting in the office of Historic Georgetown, Inc., we received a call asking if we would be interested in doing a paranormal investigation of the Hamill House. I was immediately hooked, as I have always had a fascination with this topic. 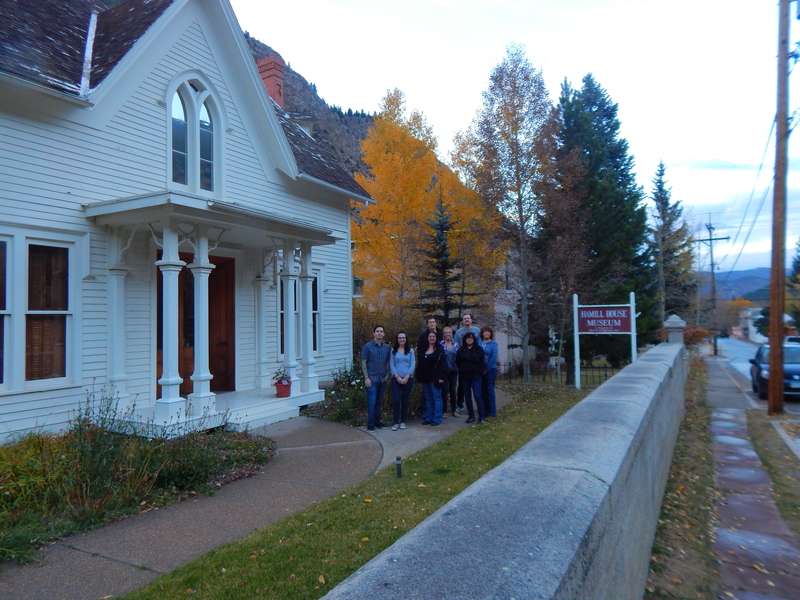 A group by the name of ParaColorado came to the Hamill on August 22 and began their ghost hunt. I honestly did not know what to expect. Rory and Faith, who are the team leaders of ParaColorado, were incredibly professional and are very passionate about their craft. To execute a proper investigation, there are several tools you need. First is a simple digital recording device. Recording devices, are essential because they pick up voices and whispers of prospective spirits throughout the investigation. Most of the evidence that is captured during a ghost hunt comes from voice recording. Another simple tool is a Mag Lite flashlight. The flashlights are placed throughout the room, the investigators are in, and are used by the spirits to make their presence known. Along with these tools, there is a device called a REM pod. The REM pod detects motion but is only activated if physically touched or handled. K2 meters detect the presence of an electromagnetic field, while a spirit box allows you to ask ghosts some questions in real time. Using these tools, allows investigators to make contact and get the best evidence possible for the existence of paranormal spirits. Now for some ghost stories. I was nervous and excited as we began our investigation. It all hit me while we were investigating the dining room. I believe the spirits were already whipped up because the day before the first investigation we had three generations of Hamill family members visit the house to celebrate William Arthur Hamill’s birthday. As we sat around the table in the dining room of the house, one of the investigators began asking about the visiting family members. The Mag Lite on the mantle began lighting up like crazy. At this point, I got shivers of excitement and almost started crying. It was remarkable, after this first test I was hooked. All throughout the house we were getting all sorts of activity. The K2’s were going nuts. Up in the nursery of the house, we began hearing several names come through the spirit box. As we dug deeper we learned it was a gentleman named Seth. We also have a spirit tell us she was hanging out under the bed. You know there is something in the room with you, when you get a sudden heavy feeling in your chest, all of us were getting this feeling throughout the house. This investigation laid the foundation for the second one. The second investigation was, in my opinion, the best. The investigators felt more comfortable, and so did the museum staff that accompanied them. In addition, we were able to see the a few parts of the house we did not get to investigate last time. Most notably the attic and the basement. The basement proved to be a very emotional experience, particularly for one of the investigators. During their session, she was overcome with emotion and began to sob. The whole time this was happening, the REM pod was going off like crazy and the K2 devices were spiking in the red. Another really cool incident that was actually caught on recorder, was the sound of a little girl singing in the hallway clear as day. During the investigation of the carriage house, I had a pretty personal experience. As we were asking questions, I got this incredibly anxious feeling almost out of the blue. As this happened the light in the hallway of the carriage house lit up. The recording device on the window sill, came back with the word “malevolent”. After this it really set the tone for the rest of the night. Another freaky incident occurred in the attic of the house. As we sat in the attic near the door which led to the second floor, it slowly creaked open and a few footsteps could be heard walking up the stairs, all of a sudden the light in corner of the attic room lit up. All the while the other group was down in the basement three floors below the attic, so there was no chance another person opened the door. All in all this second experience had a more personal feel than the first one. During these two investigations we found out some more history of the Hamill House and its occupants. As mentioned earlier, we kept coming across a spirit named Seth. It turns out there was a gentleman named Seth Spalding, who was a prospector in the 1880’s. He is listed on the Georgetown census of that date. There is a chance that Seth was an employee of William Arthur Hamill’s because of Hamill’s many mining investments. Another name that we kept coming across was Becca. It turns out that Rebecca Shellenburger was listed as a servant and permanent resident of the Hamill House in the census of 1900. It is reasonable to assume that she still resides in the house and tries to carry out her work from beyond the grave. Paranormal investigations are important. Not only for a thrilling evening, but also from a historical perspective. In communing and interacting with the spirits we have been able to learn more about the house itself. There is a good chance we never would have been able to learn about people like Seth Spalding or Rebecca Shellenburger. Overall, I am very glad we were able to work with ParaColorado, on this project. They were excellent guides and investigators into the world beyond our own. It goes to show you never know what or who is in your house. 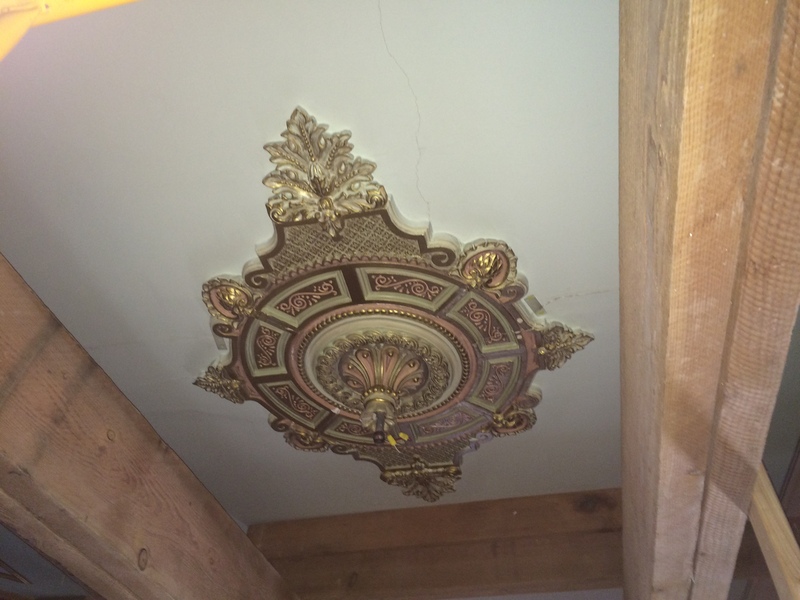 Historic Georgetown Inc.’s restoration efforts never end. This summer was no exception. Not only did we work hard on preservation and restoration this summer, we doubled our attendance from last summer. We have been busy trying to bring the luster and opulence of the Victorian era back to the Hamill House. We went through the whole property and house to figure out what we could do to attain this goal. We received a huge assist from Historicorp (link to website below), early in the summer. Historicorp tackled the restoration of the Hamill privy. This occurred at the beginning of summer but HGI was not finished with our preservation efforts. The biggest project was the replacement of the three porches on the Hamill House. We started with the front porch after it was discovered there was major wood rot. The front porch was recreated using new wood, as well as elements from the previous porch. It was masterfully restored by Silver Plume Home Services. They also did minor work on the back porch and have currently moved on to the side porch next to the conservatory. In addition to doing maintenance on the porches, they also replaced the cellar door that leads to the basement of the Hamill House. The old one was nothing more than a rotten plank of wood. As part of our rejuvenation and restoration of the Hamill, we undertook several major cleaning projects. These projects will allow for better organization of our growing artifact collection. The attic was one of the first areas we attacked. Mostly every box and piece of furniture was pulled from the attic and sorted. We then purchased archival boxes and began organizing them in a manner that allows the curatorial staff easier access. The opening of the attic will hopefully give us a better opportunity for future interpretation. The next step was to get into the Hamill basement, which had not been cleaned in years. Boxes and boxes of archaeological finds, dishes, and other items were removed from the basement and sorted. These items are now being stored in the Centennial Mill. We even found a Knights Templar sword in the basement! The next cleaning project took us over to the Carriage House. We not only swept the floor and cleared out clutter, we polished and washed the horse tack. The horse tack has never looked better. Inside the kitchen and bathrooms we added new drapes, which give the house a more homely feel. Speaking of the Centennial Mill, we have spent several days reorganizing. The Mill will now be a more effective space for storage. We did not ignore the Pavilion and Hamill Park. The Pavilion received a fresh coat of paint. The gutters were also unclogged. Inside the Pavilion a new dishwasher was installed. The dishwasher was very helpful for all of the great First Friday’s throughout the summer. The architectural assessment is still on going for the parlor of the Hamill House. This the main preservation project HGI is working on. All of our events this summer have gone towards our many preservation projects. Another aspect of the preservation process were our efforts in the cataloging and archiving of objects. Using PastPerfect software, we have digitized textiles, furniture, photographs, old cameras, and other interesting objects found during our cleaning process. We continue to digitize our collection and ensure correct storage. 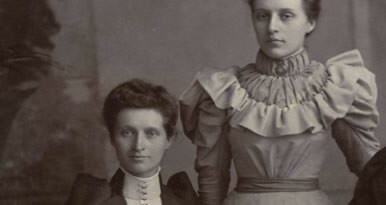 The major collections we have digitized were the Dallas/Atchison Collection, which included many beautiful examples of vintage Victorian clothing,and the Primus Collection which included several pieces of Hamill era and Victorian era furniture. We have spread the Primus collection throughout the house to make the Hamill house more authentic to what it was at its pinnacle. If you would like to help with the efforts to preserve and restore the Hamill House and other Historic Georgetown properties, you can become a member. We offer several membership levels, and in fact the $100 level includes membership to over 750 museums across the United States. Being part of this effort will help bring back the luster and opulence of the Hamill House and other Historic Georgetown properties. Soon the residence and office of one of early Georgetown’s most respected residents will be torn down. The Pollok House and Annex that spans 910-912 Rose Street was the home and office or Dr. Irving Pollok. Dr. Pollok had a long and dignified career in medicine and mining. Born in 1829 in Stirling, Scotland, Pollok’s family immigrated to New Orleans around 1832. They eventually settled in New York City. As a young man, Irving Pollok received a degree from the University of Vermont in medicine. Upon graduation, he joined the United States Army as a Second Assistant Surgeon and was stationed in Philadelphia. He left the army after two years. He went back and forth between St. Louis and Chicago where he practiced medicine for the next three years. After his excursions in Chicago and St. Louis, the pull of the west and the mining boom called to Dr. Pollok. In 1858, he left with a group for California. As the group made their way through the Kansas Territory, Pollok broke away and stopped in a small fledgling mining camp that would later become Denver. As 1859 and 1860 rolled around, Pollok left for the Gilpin area and began prospecting. He had been camped with a group of other miners in the area. He returned briefly to St. Joseph, Missouri for supplies sometime in 1860. Upon returning to Gilpin, he saw the population had exploded to over two thousand men. At this point there were only a handful of women in the camp. When word came that a family was moving to the area, and they came with women, Pollok was on the welcoming committee. He was granted the honor of dancing with the maiden of the family. He and others had also put a pot together of roughly $700 for the family to get established in the area. He returned to medicine and married as the 1860’s came and went. By 1870, his reputation as a physician was secure. He was chosen as Vice President of the Territorial Medical Society in 1873, a position he held until 1874, when he was chosen as Colorado’s (then a territory) representative for the United States Medical Convention. As Georgetown began to grow, Pollok became an integral part of the community. He purchased property in town and built a unique house in 1876. The main house was connected to an annex, which were three shotgun houses connected together. The annex had two rooms which were rented for boarding. 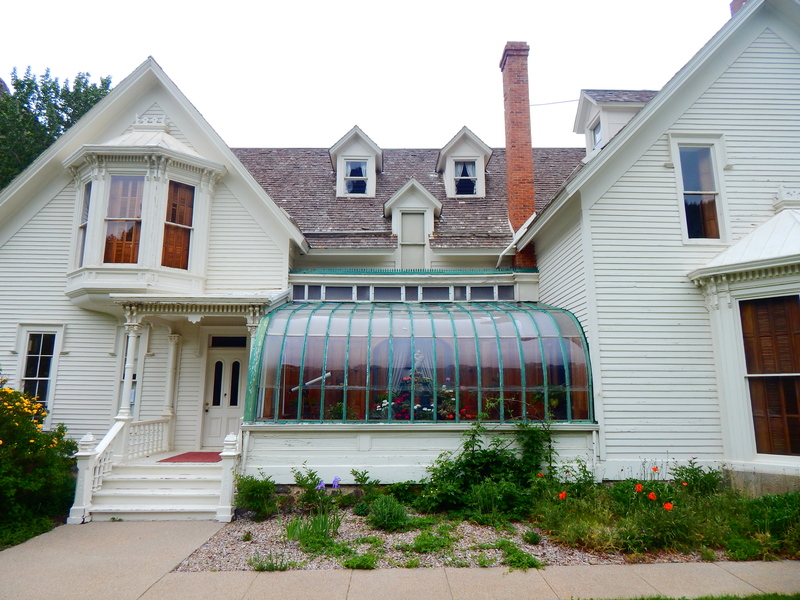 The Pollok house is in the traditional Victorian style and fits in with the other Victorian homes in the neighborhood. Pollok continued his work as a physician but was most known for helping miners. Due to the relaxed safety standards of 1870’s and 1880’s mining techniques, serious and often mortal injuries were expected. It seems that Dr. Pollok found his niche by helping with injuries sustained during mining accidents. Dr. Irving Pollok passed away in 1882, leaving an impressive and long-lasting legacy in Georgetown and Colorado. This legacy should be preserved. His unique house stands apart from others in town. Historic preservation is one of the most important endeavors we can accomplish. It is imperative we preserve houses like these, especially in a town like Georgetown where Victorian architecture dots the landscape. When author Sharony Green visited Georgetown last fall in search of historical information about one of the individuals in her recently published book, Remember Me to Miss Louisa, little did we know that chance meeting would land HGI in the acknowledgement section of her book. Needless to say we are honored. 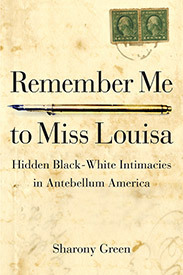 Remember Me to Miss Louisa looks at the complexities of antebellum interracial relationships, “especially from the freedwomen’s and children’s points of view.” Georgetown plays into the narrative via one of the main character’s ancestral line. 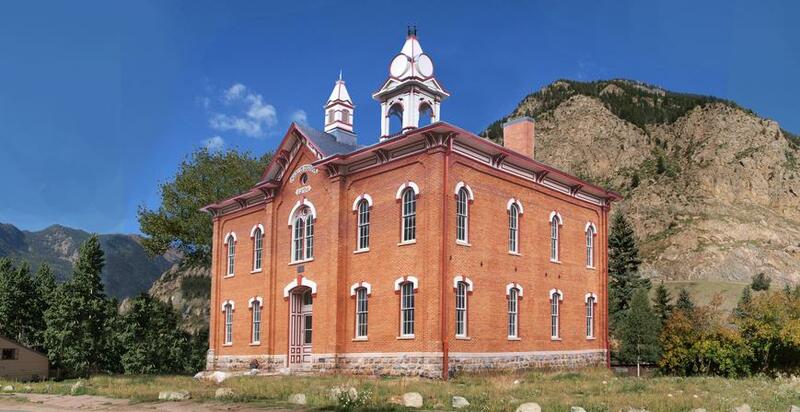 Clear Creek County was known as one of the top silver producing areas in the entire country from the mid 1860’s to the turn of the 20th Century. Originally, the early settlers of the area came in the hopes of finding gold. While gold was found in the area, it did not pan out the way silver did. The entire economy of the region was built on the precious substance and the United States Government took notice. 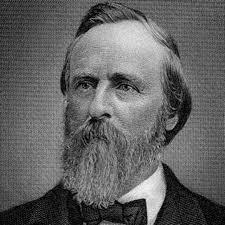 President Rutherford B. Hayes signed the Bland-Allison Act in 1878. This act gave the United States government the ability to buy silver and use it for minting coinage. It was still valued less than gold however but now the United States was authorized to purchase between two and four million dollars worth of silver monthly from Western mining interests. The conflict over having two metals represent the American currency was a regional issue. 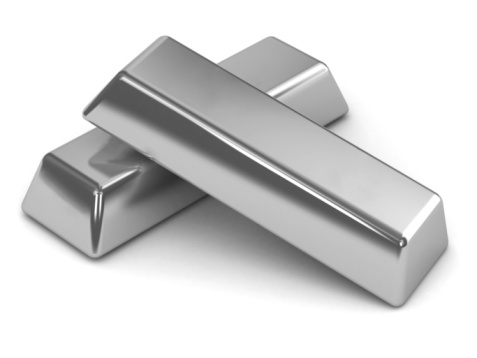 The Free Silver movement was a movement spawned by Western mining interests. It was a call to arms against the business elites of the East Coast. This regional conflict will be seen throughout the fight over the viability of silver and gold as the two forms of American currency. A key issue was the fact that the currency value of silver was more than the metal value, which was not the case with gold. This would cause massive inflation. In Georgetown and Clear Creek County, the silver continued to flow from the mountains. Originally found in 1864, the silver vein launched some men to incredible fortunes. Fortunes that were short lived. 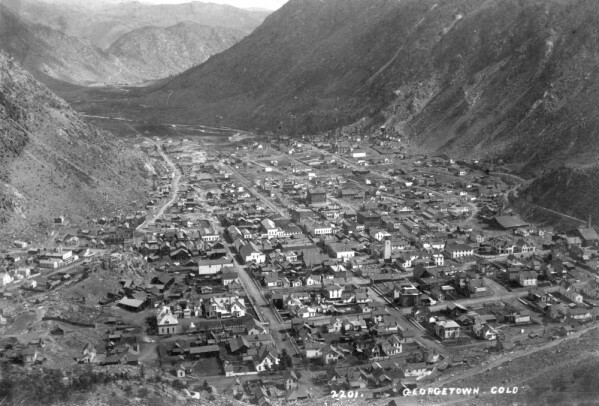 Georgetown was not a typical mining town in those days. 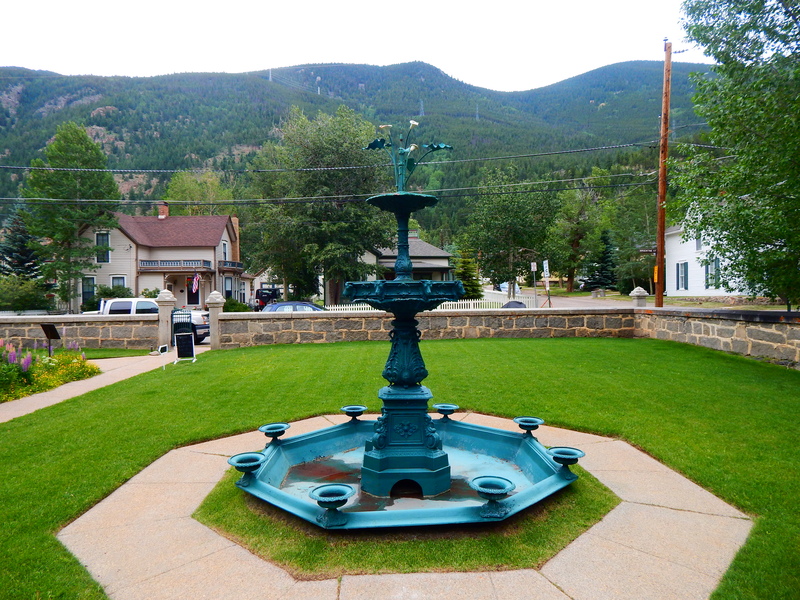 Its main purpose was to be a town of commerce and entertainment for miners rather than a typical mining town. At its height roughly ten thousand people lived in Georgetown. 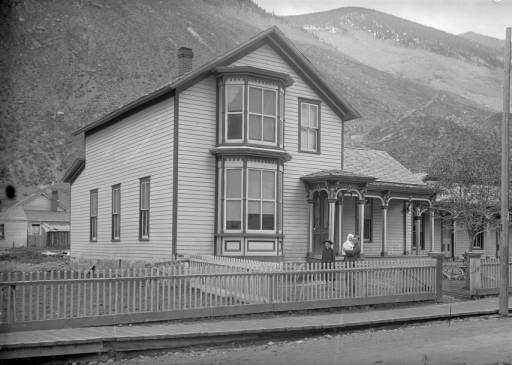 The Silver Plume Mining District had the most silver output until Leadville, Colorado took the crown in 1878. The total haul of the mining district is an estimated thirty million dollars. Bi-metallism currency standard was simply not a viable option by 1893. As the valuation of silver was inflated, the gold by which it was bought was being exhausted. This exhaustion of gold was the cause for a nationwide economic panic. This Panic began shortly after 1890 when the Sherman Silver Purchase Act was enacted. Silver could now be bought at double the rates the government was paying under the Bland Allison act of 1878. Silver was now trading at 16:1 over gold. This was a fixed rate established by Congress, which had far over-valued silver. The gold market quickly began to dry up. By 1893, the US gold reserves were on the brink of complete exhaustion. The Sherman Silver Purchase Act was repealed in 1893, affixing once and for all gold as the standard backing for United States currency. The effect on the west of this repeal caused an immediate panic, as silver barons lost massive fortunes almost over night. The political ramifications were also felt. The Republican establishment felt that gold was far more stable backing to the United States economy. This caused a regional rift in the United States; it was felt that gold was backed by the East and silver by the West. Populist politicians such as William Jennings Bryan saw huge popularity in the West, including Colorado which had been a Republican stronghold for decades. 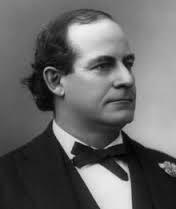 The election of 1896 saw an overwhelming support for William Jennings Bryan. 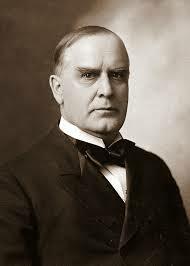 The Republican candidate, William McKinley favored a big business approach to the economy with the backing of gold, which would further keep the Colorado and western economy in recession. William McKinley eventually won the election of 1896. William Arthur Hamill, supported a gold standard, despite his heavy influence in the silver industry. He was also a stalwart Republican and supported McKinley and his campaign. Hamill’s Georgetown of the 1870’s and 1880’s was now a thing of the past. It slowly trickled down to near ghost town status. It wasn’t until the post-depression era that saw Georgetown grow again. It wasn’t silver it was tourism and a growing ski industry that helped the town regain its footing. Silver and the Free Silver movement had a massive impact on Colorado. It was the one of if not the most important influence on Colorado’s economy and political identity. William Arthur Hamill and Georgetown were right in the thick of it. Spend the final days of summer at the Hamill House. 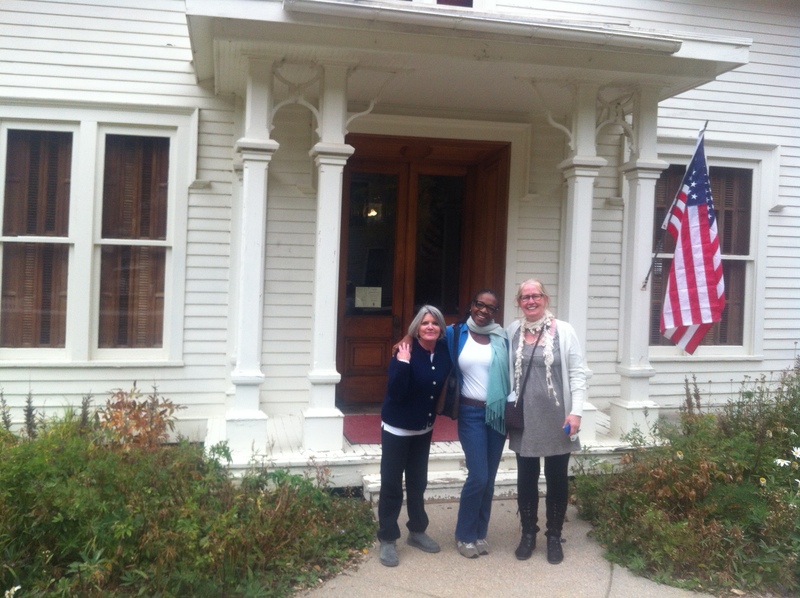 HGI has been busy interpreting history, writing grants, partnering and hosting fundraisers for the restoration fund. 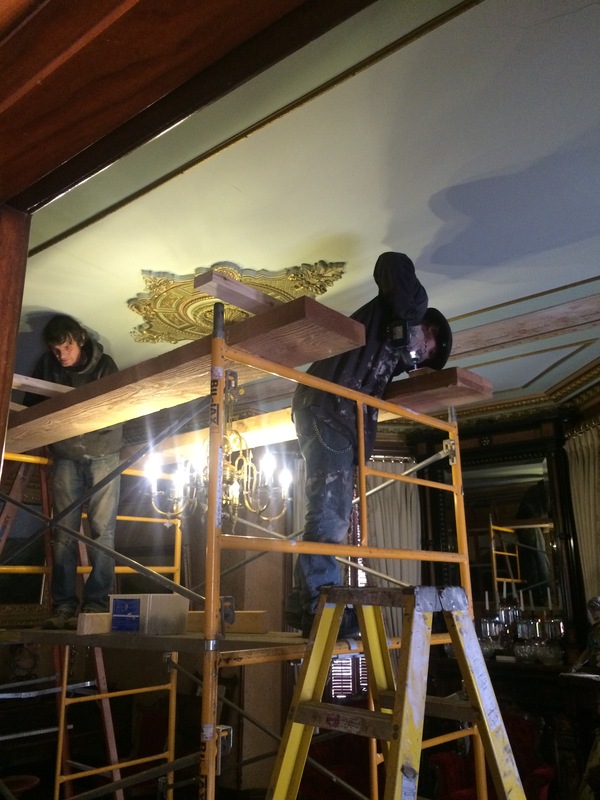 As we reported earlier, the parlor ceiling in the Hamill House is being held up by scaffolding due to a structural issue. Unfortunately we are not sure when we will be able to do the expensive restoration that is required to fix that problem, but that has not stopped HGI from doing the things it does best, including taking visitor’s on tours of the old gal. Fundraising for the Hamill House Restoration fund has been utmost on our list of priorities. To date this summer HGI hosted two First Friday Lawn Parties, with one more to come Friday, in August and two Georgetown Horse Drawn Wagon Tours, with one left to come the first Saturday of August. All of the profits of First Fridays and Horse Tours go to the restoration fund. HGI has also been busy partnering with the soon to be opened Georgetown Heritage Center’s Cultural Arts Program and The Rocky Mountain Quilt Museum in curating an exhibit for the month of September titled “Crazy Quilts, the Pride of Victorian Womanhood.” The Georgetown Heritage Center is housed in the 1874 Georgetown schoolhouse. The restoration on the exterior of the structure began as soon as funding was available. While the character defining exterior-features of the school were plain to see, decisions about the interior were equally critical. The Heritage Center will house the local history archive maintained by the Clear Creek County Library and the Cultural Arts Program whose mission is to demonstrate, teach, and exhibit traditional folk arts and their modern adaptations, as well as provide cultural programming that was practiced and enjoyed by the diverse groups who created Georgetown during the 19th century mining boom. Programs include local, regional, and visiting artists/musicians, traditional crafts, fine arts and houses a music/drama performance space on the second floor. you will be able to tour the beautiful Hamill House as part of the tour. Come to the Hamill and enjoy a Victorian Lawn Party. No summer would be complete without playing lawn games on the Hamill property. Games include croquet, and ladder ball. In addition to games, a face painting station along with Hamill House tours. There will also be a drawing at the end of the night. Wine/Beer bar along with hors de ouvers will be served. Each ticket includes one drink ticket. Come down to our last First Friday of 2015. All are welcome. Proceeds go to the restoration fund. Be a part of historic preservation and have a great time while you’re at it! HGI is hosting an auction and picnic at the Hamill House Museum on August 28th. Enjoy an evening of live entertainment, food, a chance to win great items and a special Wine Pull in which everyone is a winner. Enjoy the majestic beauty of one of the most well-preserved Victorian towns in America from the grounds of the Hamill House Museum. Bar. Additional Drinks are $5. Auction proceeds go to the further restoration of the Hamill House. September 6-27, Saturday and Sunday, Exhibit: Crazy Quilts, the Pride of Victorian Womanhood Curated by the Rocky Mountain Quilt Museum in collaboration with HGI. The United States had a lot to celebrate in the summer of 1876. The Declaration of Independence was signed 100 years prior, and the country was hosting its first World’s Fair. William Arthur Hamill also had reasons to be happy during the historic summer. For Hamill, business was booming. The Silver was flowing and his town of Georgetown was growing. The Colorado legislator, railroad commissioner, and silver baron went to the City of Brotherly Love to celebrate the momentous event. While attending the Expo, Hamill was inspired by the many exhibits he saw to add to his expanding mansion back in Georgetown. 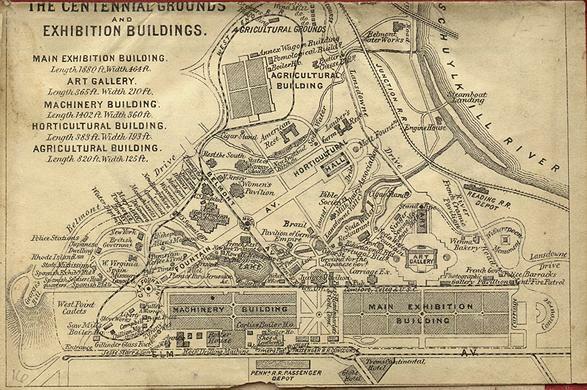 The Philadelphia Centennial Exposition had over thirty thousand exhibits. It opened on May 10, 1876. The exhibits featured natural history displays including taxidermy animals, minerals and gems from all over the American landscape. Native American’s were featured prominently during the expo. Over fifty-three Native tribes displayed art work, weapons, and clothing. However, they were portrayed as a “museum relic” rather than a thriving cultural community. During the expo, word reached back East that Custer had fallen at Little Big Horn which cast a dark shade over the festivities. In addition to the Native American cultural exhibits, and natural history displays, several American companies were displaying their products. As William Arthur Hamill and the other ten million visitors strode the halls of the expo, they were shown knew inventions and home improvement options. Hamill, being the western aristocrat that he was, felt it was necessary to improve his home in Georgetown with all of the finest Victorian furnishings. One of the prominent features of the Expo was a twenty-five foot fountain built by the J.L Mott Ironworks Company of New York. Hamill was inspired by this fountain and decided to add one to his estate. Another exhibit that caught his eye, were the Victorian Conservatory’s. Conservatories were an integral part of elite Victorian estates. William Arthur Hamill had to have one for his home. 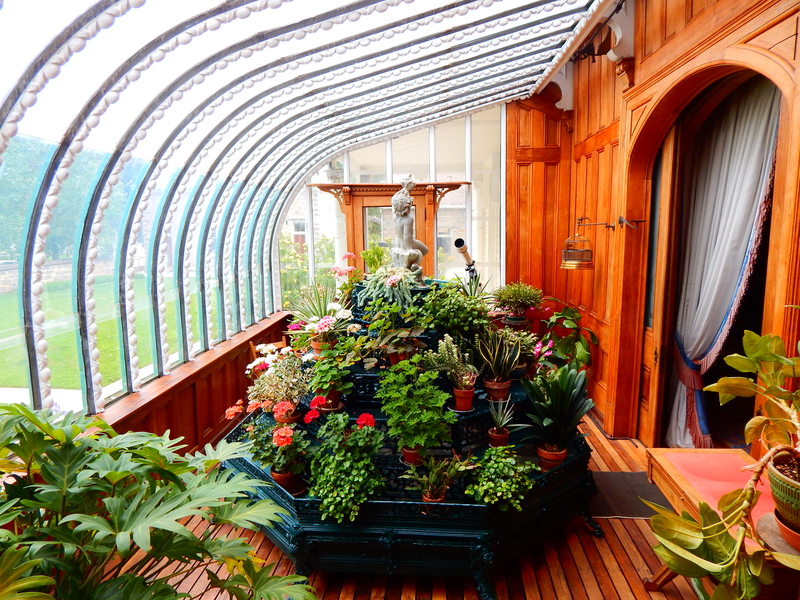 The 19th Century was the golden age of home conservatories. Due to new glass and heating technology, they were able to be mass produced. In addition to the conservatory, ferneries were part and parcel for the conservatory. The one Hamill ordered was produced by Mott Ironworks. The fernery was integral to displaying your plant collection. Hamill’s conservatory had slatted panels in the flooring. Underneath a large coal burning furnace was placed. During the winter the heat from the furnace would rise through the slats in the flooring and heat the room during bitterly cold days. They were designed so that flowers and plants could be enjoyed year round. It is safe to assume that William Arthur Hamill came back from the Philadelphia Exposition with inspired new ideas for his mountain estate. He embraced the Victorian designs he saw. However, there was one problem. The railroad had not reached Georgetown in 1876. Hamill waited until 1877 when the railroad finally wound its way to Georgetown. The railroad sparked the economy of any area it entered. Now people, such as Hamill, could order from back east all of the new pieces for his extension project. The company he ordered the conservatory from came out with an installer to build the structure onto the house. The Mott’s Ironworks sent out his fountain and fernery which came with an installer as well. The railroad also allowed Hamill to order two exquisite marble fireplaces from Vermont, and tiles from England. William Arthur Hamill was able to expand his house to the Victorian grandeur he had earned, due to his inspiration from the Philadelphia Exposition and the Railroad.